Brigham Young considered the endowment ceremony a crucial step toward heaven. One of the things that sets Mormons apart from other religious people is their commitment to wearing special undergarments. Young adults receive these clothing items during a ceremony in their temple. Mormons view these articles as sacred. They prefer the term “garments” to “underwear,” which is considered derogatory. Once they receive their garments, Mormons are expected to wear them almost constantly to protect against temptation and evil. The two-piece garments are white and consist of a T-shirt and pants reaching the knee. They’re made of lightweight cotton blends and feature special stitching and symbols resembling those used by Masons. Mormon armed service members can get a set in a darker color. Women are supposed to wear the garments underneath their bra. You can only buy the garments through special church-endorsed websites after you’ve been through the temple endowment ceremony. While the garments look fairly ordinary, they symbolize spiritual and physical purity and obedience to God. 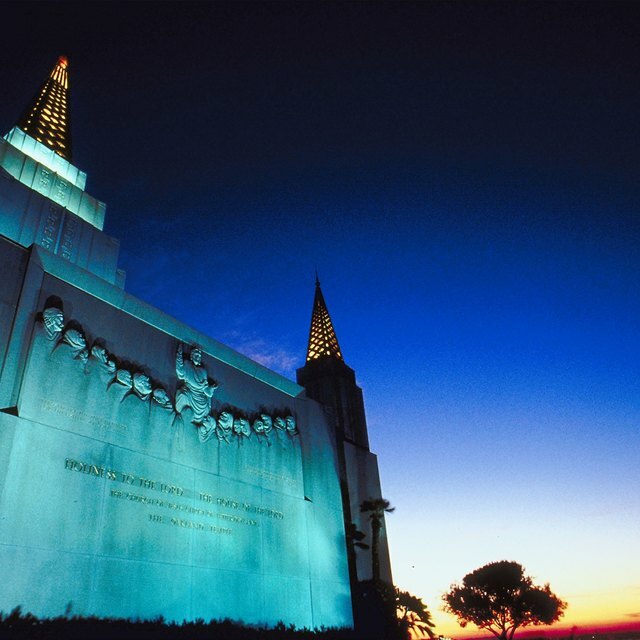 Most Mormons participate in their first temple endowment ceremony around the age of 19 or 20. 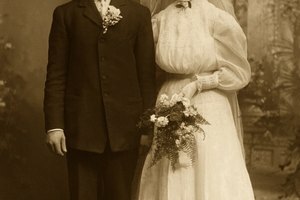 Young men undergo endowment before going on a mission; young women before their mission or marriage. The endowment has four main parts. First comes ceremonial anointing and washing. This is when the young person dresses in the garments for the first time. Next comes instruction about the creation of the world, the story of Adam and Eve and salvation through Jesus. The young person then makes covenants with the Lord. 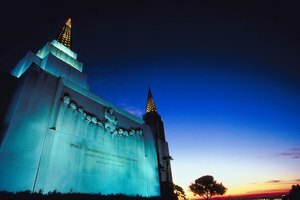 The last part of the endowment involves feeling the presence of God in the temple. 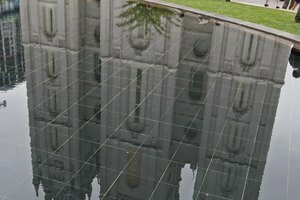 A Mormon first undergoes endowment for her or his own benefit. On subsequent endowments, a Mormon participates in the ceremony as a proxy for dead people. The idea is that this enables the dead person’s soul to either reject or accept the covenants, based on free will. The endowment builds on covenants made earlier during baptism. During the endowment, Mormons promise to practice chastity and strict virtue, and to not trifle with the sacred. 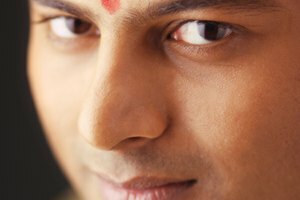 They pledge to be benevolent, pure, tolerant and charitable, and to devote their talents to uplifting other humans and spreading truth about Jesus. In exchange for keeping these covenants, Mormons expect to receive blessings from God. Early Mormon leader Brigham Young taught that the endowment ceremony was an important step on the path to heaven. Mormons highly value modesty in action, speech and dress. Since the garments reach the knees and cover the shoulders, any clothes that cover the garments are nearly guaranteed to be sufficiently modest. Only in a few instances do devout Mormons remove their garments. These exceptions include swimming, intimate marital relations and use of the bathroom. Garments are considered spiritual armor and a reminder of covenants made with God. Gospel Ideals International: What is “Mormon Underwear” or “Garments”? Bergen, Teresa. "The Significance of Undergarments in the Mormon Religion." Synonym, https://classroom.synonym.com/the-significance-of-undergarments-in-the-mormon-religion-12086349.html. 29 September 2017.